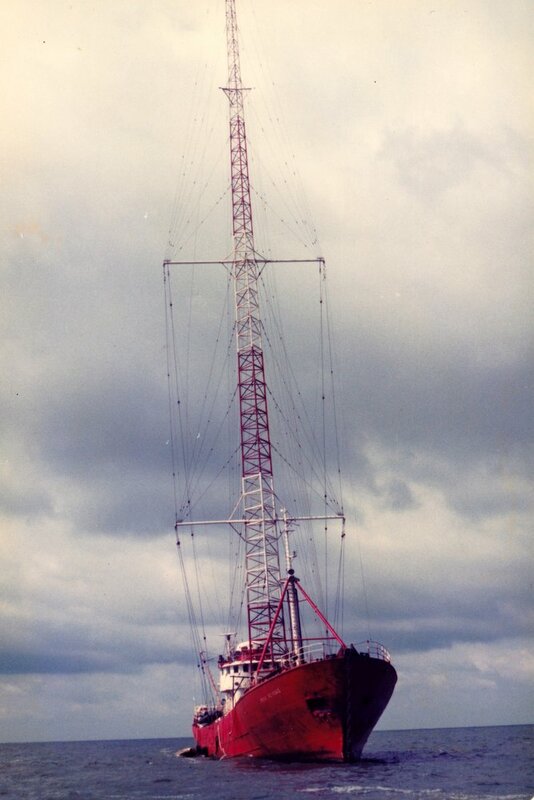 Correspondent Peter Cousins wrote: “After looking at your lovely offshore radio site, I thought I would send you some pictures I took from a trip to the North Sea I made in 1984, to the Ross Revenge and then onto the mv Communicator. Unfortunately the sea was getting very choppy and the little tender was crashing against the side of the Ross Revenge so we were unable to board her. 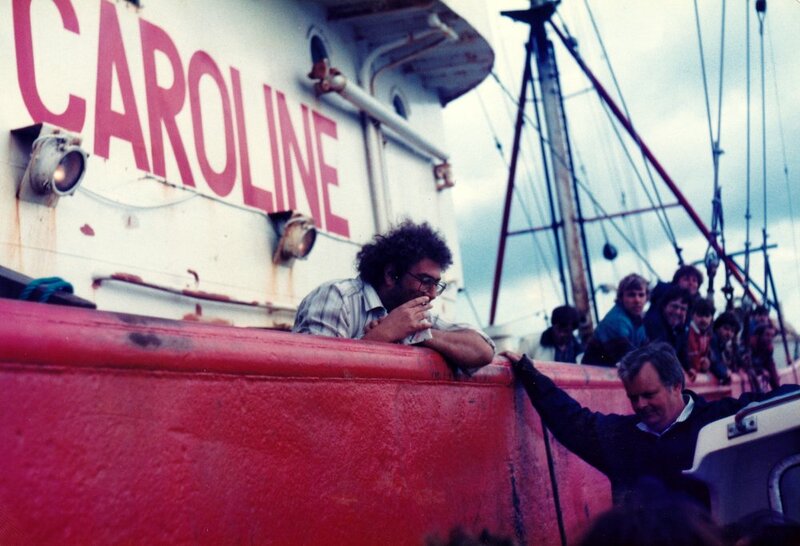 It was decided to continue to Laser.” Our grateful thanks to Peter. 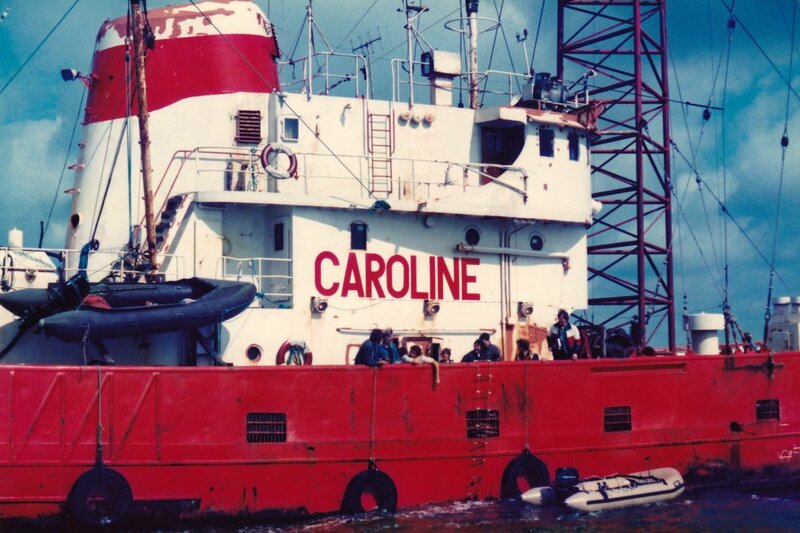 We start with the Ross Revenge, the home of Radio Caroline. 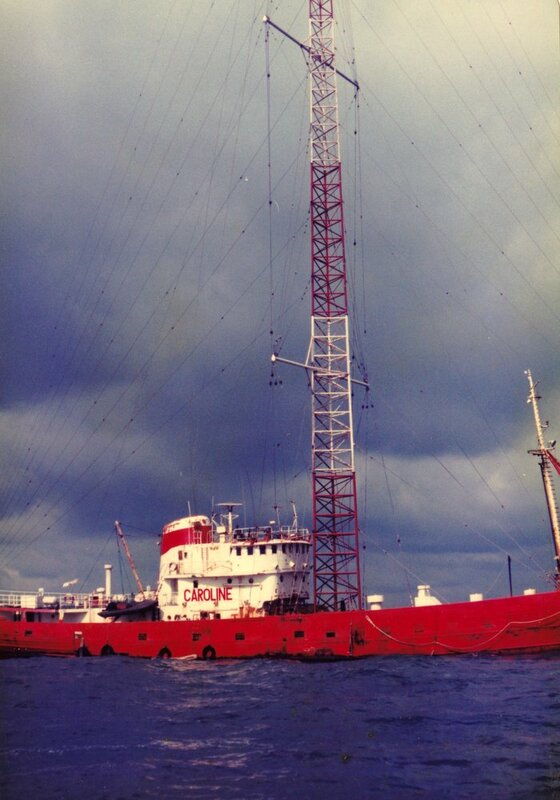 Radio Caroline's ship, mv Ross Revenge. Side-on to the Ross Revenge. 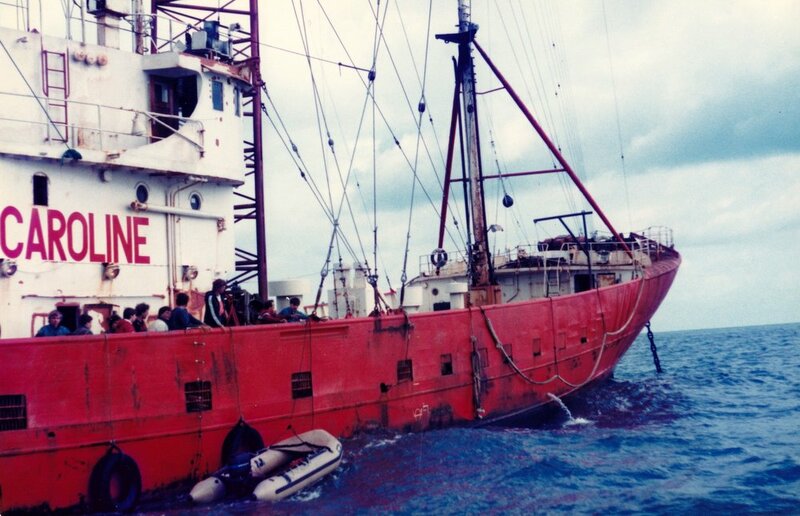 The Caroline ship with inflatable alongside. Peter's photos of the Laser-558 ship are over the page.